British scientist Stephen William Hawking died at the age 76 on Wednesday, a spokesperson for his family has confirmed. Hawking was diagnosed with motor neurone disease in 1963. The death of the eminent scientist came as a shock for many. Hawking's courage and persistence with his brilliance and humour inspired people across the world. The legacy of Stephen Hawking will live on for many years even after his death. Coming as a saddening news for many, Professor Stephen William Hawking passed away at the age of 76, a spokesperson for his family has confirmed. Stephen Hawking, a household name in the world of science is survived by his children Lucy, Robert and Tim. Hawking’s impeccable scientific works comprise mainly of a collaboration with Roger Penrose on gravitational singularity theorems in the framework of general relativity followed by the theoretical prediction that black holes emit radiation which is called as the Hawking radiation. At a young age of 21, Hawking who later became the shining star in the azure of science was diagnosed with motor neurone disease in 1963. 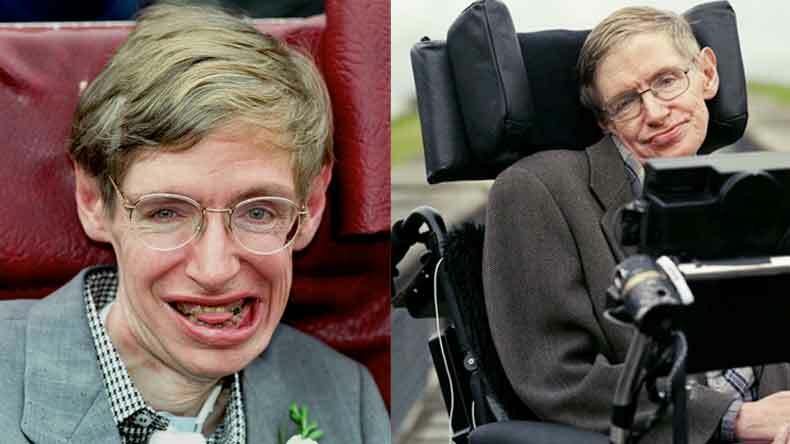 Hawking suffered an unusual early-onset, a slow-progressing form of amyotrophic lateral sclerosis (ALS) which paralysed him for rest of his life during the course of time. Hawking, who has been an inspiration for many used to communicate using a single cheek muscle attached to a speech-generating device. Hawking was an English theoretical physicist, cosmologist, author and Director of Research at the Centre for Theoretical Cosmology at the University of Cambridge. Hawking was also the author of A Brief History of Time which eventually became an international bestseller. His exceptional accolades include the honour of highest civilian award in the United States, 015 BBVA Foundation Frontiers of Knowledge Award in Basic Sciences and achievement award “for his contribution to science and British culture” at the Pride of Britain Awards in 2016. In 1974, Hawking was elected a Fellow of the Royal Society (FRS) after his major contributions to the field of general relativity. In the official statement, released by the family of revolutionary scientist asserted that the renowned scientist is sadly no more. “He was a great scientist and an extraordinary man whose work and legacy will live on for many years,” the official statement said. “His courage and persistence with his brilliance and humour inspired people across the world,” the statement added.